Saphir's Gommadin Suede & Nubuck Cleaner is used to remove stains, water marks and soiling from suede, nubuck, and velvet shoes to restore your shoe's original finish and texture. Saphir's Gommadin Suede & Nubuck Cleaner is used to remove superficial, dry stains from on top of suede shoes to restore the original finish and texture. Using the Saphir Gommadin Suede eraser is a lot like using a pencil eraser: identify the dry stain you are trying to remove, then take the eraser and rub it into the stain using moderate to firm pressure. 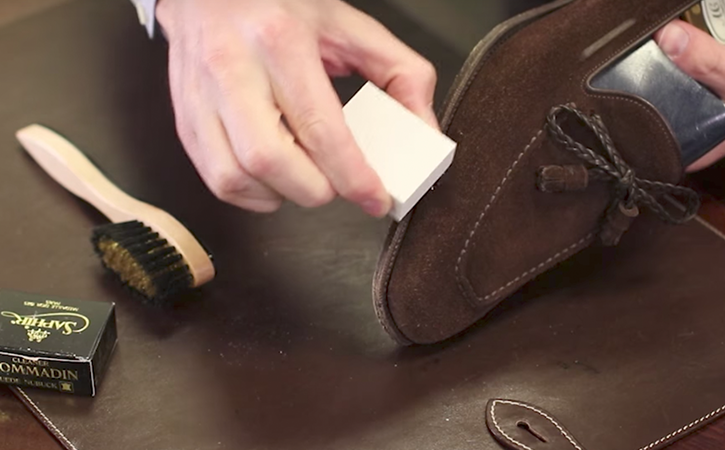 You won’t see how effective the suede eraser is without then taking a suede cleaning brush and brushing off the white residue the eraser leaves behind. 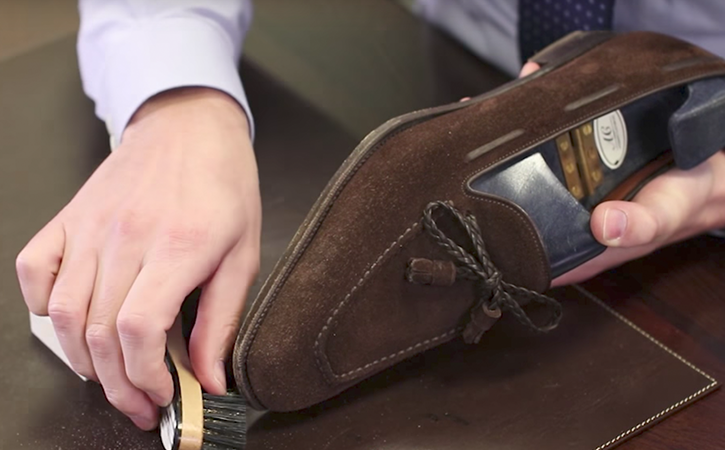 Brushing will complete the process of removing the dry stain and fluff the pile, leaving you with new looking suede shoes. However, erasing and brushing the suede will not be able to remove any oil based or color based stains for that, you will need to use the Saphir Omni'Nettoyant Suede Shampoo or the Saphir Hussard Oil Stain Remover.